I love working out but I stopped going to the gym since last December. That is mostly because I am trying to save every penny, and I’d rather stay home to be honest, than go sweat with strangers. Recently, I noticed that I gained weight because I’m not physically active, so I decided to find ways to get fit without going to the gym. This is one of my favorites on the list! I’m a big fan of Rebecca Louisse, I have been following all her social media accounts especially her Youtube videos. My sister suggested I watch Rebecca’s videos; she has complete training videos from intense workout to light exercises. I decided to download her videos so even if I don’t have an internet connection, I can watch them. I had a high school teacher before who used his bike as his daily transportation. He always joked with us that his BMW “bike” was really reliable. He was our P.E teacher, and always reminded us of the importance of exercise. Not only riding his bicycle prevents him from getting stuck on traffic, it’s also a good way to save on daily transportation expenses. Last May, I started jogging every day at 5:00 A.M, and felt like I could conquer the day afterwards. I stopped jogging because I noticed that my right side was really painful every time I made 1 or 2 rounds in the park. Running is really an effective way if you want to trim down. Many of my friends successfully lost weight running and training for marathons. This is also one of my favorites! Did you know that when you sweep your floor, do dusting or even mop the floor, you burn 39 calories every 15 minutes? We only have a small garden, but we still manage to play badminton, volleyball or even basketball. Sometimes, I play basketball “with no rules” during the afternoon with my nephews. Make use of the space you have but if you don’t have a place to play, you can go to the public playing area. I was really inspired watching best yoga poses in Facebook and Instagram, so I decided to buy a yoga mat! Again, Youtube would play a very important role in this one if you don’t want to spend money, but if you want to take a yoga lesson then go ahead, you can ask some of your friends who are currently taking a yoga class if can join them. One of the good benefits of doing yoga is weight loss and increased muscle strength and tone. Sometimes, when I get bored doing a normal routine workout, I switch to dancing. We have a Zumba class nearby, the price is really affordable so anyone can join. So if you want to try a different kind of workout, try to do Zumba or dancing, it is fun and easy to follow as the Zumba instructor guides you. I have an eight year old daughter and we always have a fun time with each other. We play hide and seek and lots of other fun games that make you run around. Sometimes, it’s good to play like a child just like you used to! Last but not least on my list is watching carefully your food intake. Everything would be totally useless if you are still eating junk food and drinking sodas. As Clint Eastwood said, ”Try not to ingest a lot of fats, and just try to eat carefully.” Chew your food carefully and remember, less meat but more vegetables and fruits. And of course, don’t forget to drink water, water and water when you are doing all of these! Really useful post. 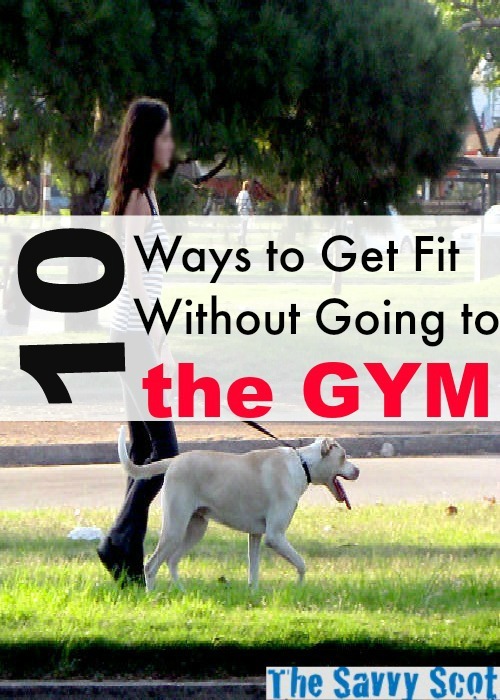 We recently published a similar post about alternatives to a gym membership and after researching it really did show (as you have done here as well) that you don’t need to spend money to lead a fit and healthy lifestyle. Thanks for dropping by Ricky, I should read your post too! Great tips to get fit! Be careful if you are riding your bike to work though please. My boss got hit by a car a couple years ago and had to be med-flight evacuated. He almost died on the scene! Oh, that was really horrible Derek! Is he okay now? Love the list. I actually just cancelled my gym membership in favor of doing more of whats on this list. I’ve been a big fan of checking out every workout DVD I can from the public library. They usually have a lot of the Beachbody workouts as well! P90x, TurboJam, PiYo, etc. And what’s better is the checkout period on workout DVDs is usually 21 days, so I can try it out more than once, but I’m not in a hurry to return it to the library. I also really like DailyBurn! I’ve written about it on my blog before, but it’s well worth looking into! I need to get exercising again. What I need is someone to drag me out every night once my chores are done–and of couse by that time all I want to do is put my feet up and relax. 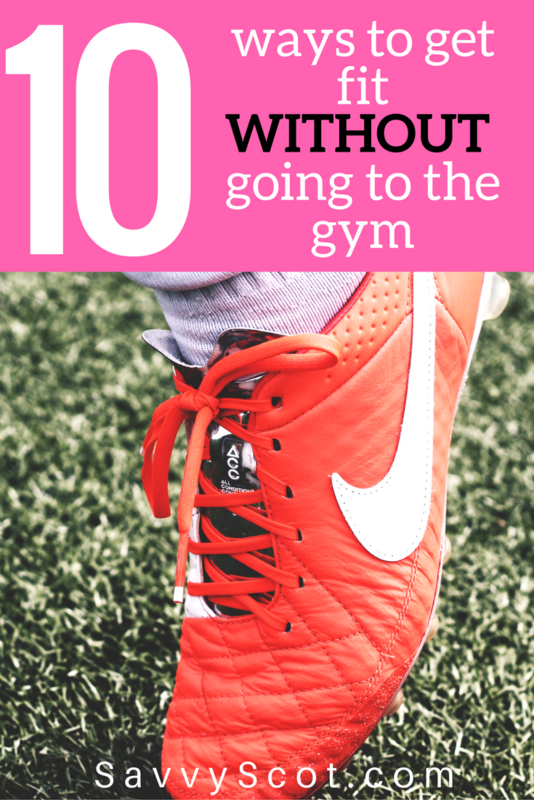 These are some great alternatives to a gym membership. There are so many exercise routines you can find online that it makes it really easy to get started. I think keeping it going is the harder part, so it’s a good idea to get a family member or friend to join you so you hold each other accountable. Gary @ Super Saving Tips recently posted..Can You Really Trust Online User Reviews? I like running, but once you skip a few days, it’s so hard to get back into it. Also, I can’t believe I actually just wrote I like running… but it’s kind of true. And can definitely be budget friendly. Running or Jogging does really help trim you down. I recommend The Guardian Guide to Running Podcast available on itunes for free. I have used it to start running and eventually started running for 10 minutes straight, on my way to 20 minutes! Great post! Unless your goal is to become as ripped as those bodybuilders in the show then you should really grind that hard. Otherwise, for fitness, there are lots of cool stuff you can do without spending a penny and I am glad to find out this post which list down almost everything you need to know about that!